Vienna joined STEP in Feb 2019. Her office is in Prince George. Vienna comes from a Job Developer background and is knowledgeable in the electrical trade as well as pipeline welding. Vienna has a degree in Northern Development and is proud to represent the north. She has three children, and a super old dog. She enjoys spending time at lakes in the summer paddle boarding. 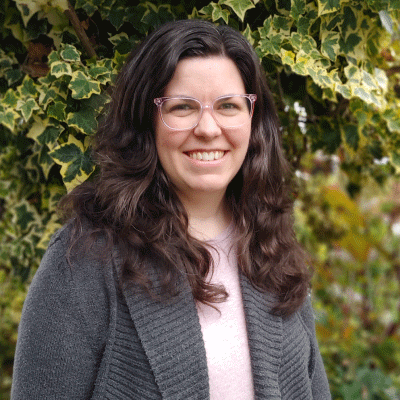 Bethany has worked with STEP for 6 years as a Regional Coordinator. Her office is in Prince George. Previous to STEP, Bethany was in retail management with a big box store for 9 years. She has lived throughout the province, but spent the majority of her years in Prince George. She enjoys travelling with her husband, relaxing at the family cabin, and spending time with her 3 children and 2 grand kitties. Steven relocated to Terrace from Victoria almost 20 years ago. He has worked for the BC Construction Association for six years. While living in Victoria Steve worked as a residential house framer for 10 years. Steve holds a B.Sc. (Psychology) and is presently near completing his BSW part time at the Terrace UNBC campus. Before working for the BCCA, Steve worked in Terrace as a band social worker for local First Nation community, as a parole supervisor for Corrections Canada and as a child protection social worker with MCFD. 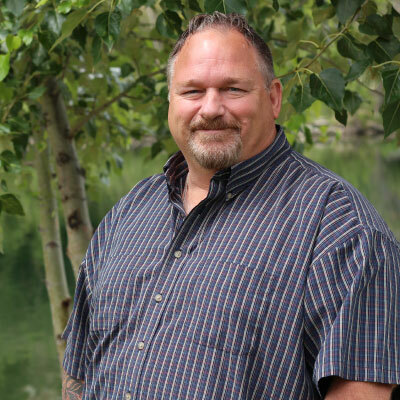 Steven enjoys skiing, fishing, camping and going to the local hot springs with his wife and 2 children. Michelle joined STEP in May 2017. Her office is in Terrace. 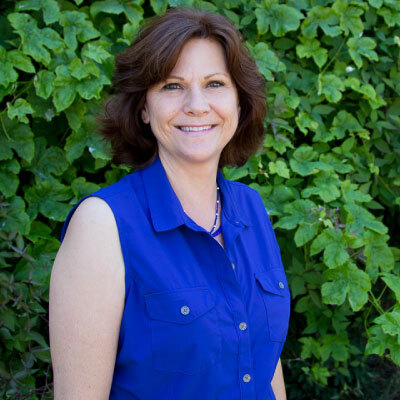 Michelle was born and raised in the Northwest and holds a Social Service Worker Diploma. 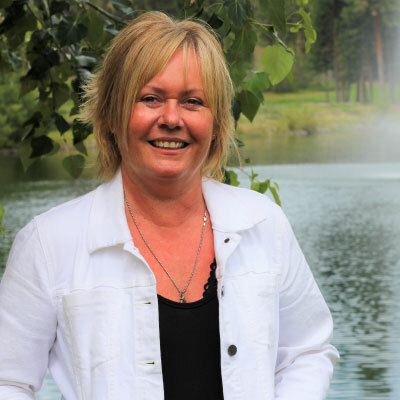 She has worked as an employment counsellor for different agencies throughout Northern British Columbia. 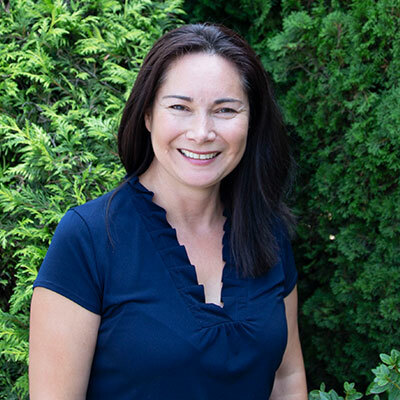 Veronica has worked in Prince Rupert for 6 years, preparing, inspiring, and connecting job seekers with the construction industry. 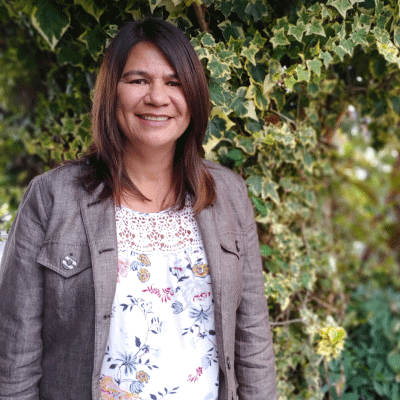 Prior to her position with STEP, she worked as a Case Manager for the Hecate Strait Employment Development Society in her hometown of Masset, Haida Gwaii. Veronica believes in experiencing gratitude on a daily basis and always lending a helping hand. Sharon has been with the STEP team since 2012. With a degree in Education and a BSc in Psychology, Sharon started her career as an elementary teacher. She has been a group facilitator, an adult upgrading instructor, a job finding club coach, and a case manager/employment counselor. 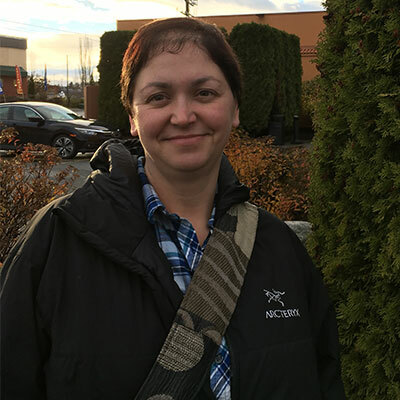 While working for WorkBC in Chilliwack, Sharon took on the role of Apprenticeship Specialist. Upon moving to Kelowna, she found her fit as a REPS. Sharon is grateful for the fulfilling and dynamic position. Dave has been with the Southern Interior STEP team for 9 years. 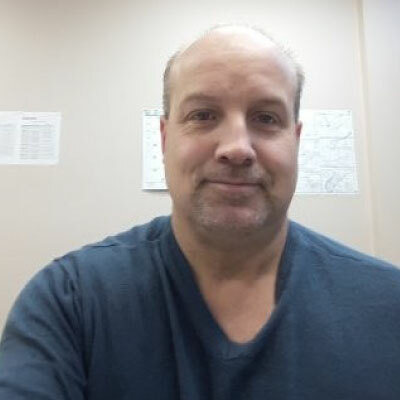 He has over 30 years of trades related experience, working as a Certified Welder/Heavy Equipment Operator, and Welding Instructor. He is also a Qualified Career Development Practitioner. 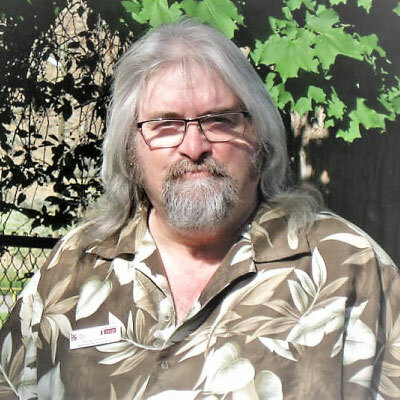 Throughout his career Dave has always been passionate about assisting apprentices and connecting them to employers with a focus on completing the Red Seal certification. Katherine has worked with STEP since May of 2009 when she started as the Coordinator for the program. In 2011, she became a REPS before taking on the role of Regional Manager in 2012. Katherine grew up in the lower mainland where she worked as a Purchaser for a large chemical distributor. 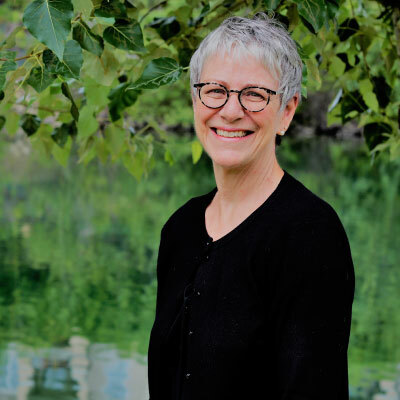 She moved to the Okanagan in 1992 and worked in the wine and beverage industry for 15 years before joining STEP. Katherine loves spending her free time with her family and friends while enjoying all that the Okanagan has to offer. Sarina has worked with STEP for 7 years. She holds a certificate in accounting from the Okanagan College. She grew up, worked, and studied Business in Europe before moving to Canada. Sarina loves spending time with her family. Her favourite activities in the summer are boating, chilling at the beach, and doing fun activities with her 4 year old daughter. Her favourite saying is: Everything is gonna be alright! Norman (Norm) is a REPS with the Southern Interior STEP office. He started his career in the trades in England as an apprentice Mechanic at 17. He received his journeyman papers at 21. Norm had the opportunity to immigrate to British Columbia where he also attained his Canadian trade certification. Many opportunities have come his way giving him a varied base of knowledge and experience working as a tradesman, apprenticeship counsellor, and employment counsellor. All of which have enabled him to join the STEP team working as a REPS and finding satisfaction in assisting others along their path to achieving a career in the trades. 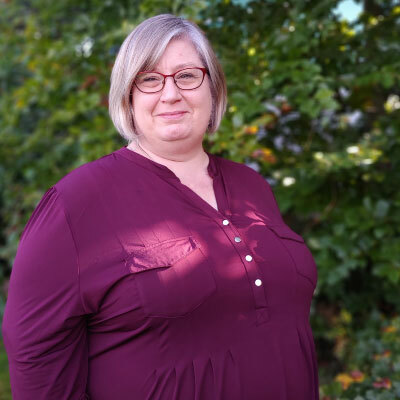 Joelle has been working in the career services field for over 10 years providing guidance and support to job seekers and employers from various industries. With a degree in education and psychology, Joelle enjoys motivating and inspiring others to work towards their career and educational goals. In her spare time, she enjoys being a mom and spending time with family and friends. Allan has been with the STEP team since 2010. His office is in Nelson. Prior to moving to the Kootenays, Allan was the owner/operator of Calgary based Song Woodworks Inc. that offered custom cabinetry and finishing carpentry. He is a Red Seal carpenter. 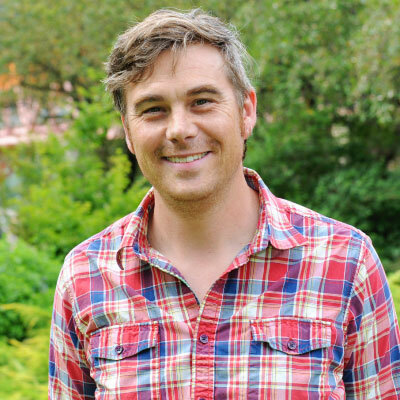 In his free time, under the stage name Al Woodman, Allan is a performing guitarist/singer/songwriter and is host and producer of the Sound of the Kootenays podcast which debuted in August 2018. Kyle has worked as a REPS for STEP since 2011. His office is in Vancouver. 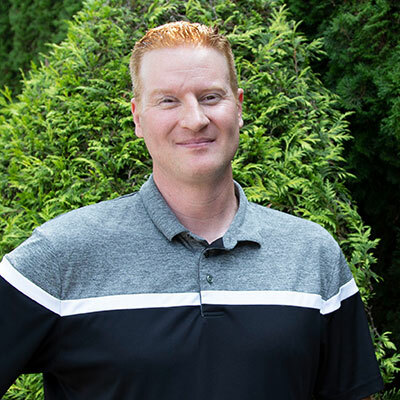 Prior to working STEP, Kyle spent 10 years in the Glazier trade installing glazing systems on commercial construction projects all over the lower mainland. During this time he completed the Glazier apprenticeship and earned Red Seal certification going on to work as a lead hand and a foreman. Kyle has over 15 years of experience in the construction industry. Faith is a Regional Manager for STEP and has worked for the program since its early days in 2009. Her office is in Vancouver. 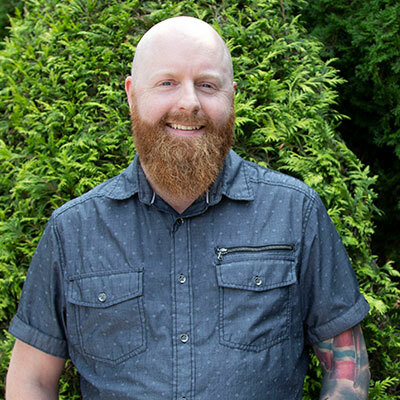 Having spent over a decade working in construction and shipbuilding as a Welder-Fabricator and Heavy Equipment Operator, and more recently as a REPS and Manager for STEP, Faith is well-versed in BC’s construction industry and apprenticeship process. In her current role, she continues her mission of making apprenticeships more accessible in British Columbia. Becky has worked with STEP for 7 years. Her office is in Vancouver. 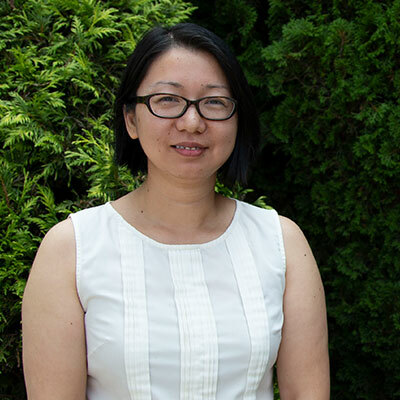 She grew up in China where she earned her degree in Accounting before starting her career with Hunan Electric Power Company. She immigrated to Canada in 2004 and joined the STEP team in 2011. 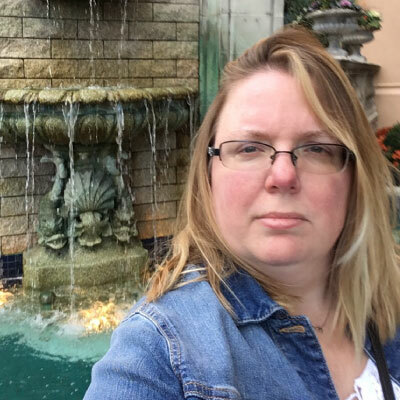 As an immigrant, Becky loves the country and really enjoys her new life and career in Canada. Isabel was 15 years old when she got her start in the trades as a flagger. Every summer after that she would start as a flagger and the season operating machines or surveying. One of her proudest career moments was marking the centre line of a new stretch of the Alaska Highway. Isabel went on to complete her Welding certification and work for years as a Welder-Fabricator. She took a break to raise her family and came back to the industry through STEP. Now as a STEP REPS, Isabel loves helping people fulfill their potential and reach their career goals. Her office is in Abbotsford. Besides the trades, her passions include cheering her boys on at their baseball games and treasure hunting (aka going to garage sales). Doug has been working with STEP since June 2014. His office is in Abbotsford. Prior to his role as REPS, Doug worked in automotive and residential glass replacement for 10 years. He has experience in a variety of trades including electrical, installing security systems, insulating, and pipe laying. In his spare time he enjoys spending time with his family and friends as well as playing men’s league hockey and golf. He was born in Vancouver and has always lived in the lower mainland and Fraser valley. Andraya joined the STEP team in 2018. Her office is in Abbotsford. Prior to her role as REPS, Andraya worked as a Construction Safety Officer in Surrey. She’s been working in the BC construction industry for over 5 years. She started her career as a labourer, then became a carpenter, a Construction Safety Officer, and now a Regional Employment Placement Specialist. Andraya has a certificate in Academic Career Connections and a Health & Safety Administor certificate from the Alberta Construction Safety Association. Kelsey grew up in Saskatchewan and moved to Nanaimo in 2008. 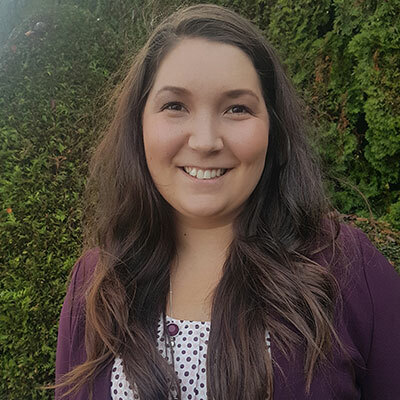 When Kelsey moved to the island, she worked for the Vancouver Island local Canadian Home Builders’ Association before joining STEP. 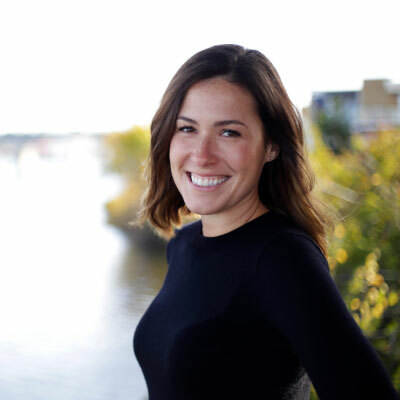 Kelsey started her career with SaskPower as a civil engineer and eventually moved into employment recruitment after earning her degree in Psychology. As a REPS, Kelsey loves helping people fulfill their goals and build their careers in the trades. 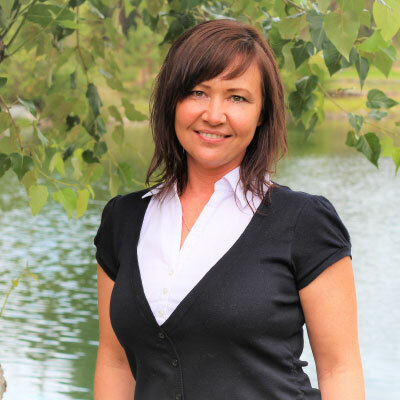 Zuzana has over 20 years of experience as a career counselor/ job placement coordinator. She has lived in Victoria for 17 years. Zuzana has post-secondary training in Anthropology and Psychology. She’s learned “the hard-way” that you have to mesh your passion/interests with real world in-demand skills to have a successful career. She started working in the construction field with the BC Construction Association (BCCA) in 2015, taking on the STEP REPS position in 2017. 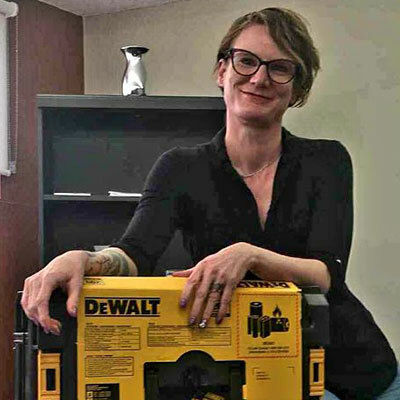 She’s thrilled to help young people and mid-career folks transition into the apprenticeship track and get working in the trades. Bonnie-Lynne has worked for the BC Construction Association (BCCA) for 6 years. Her office is in Victoria. She started as a Regional Coordinator with STEP. 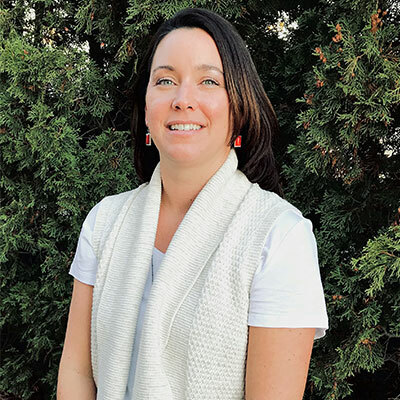 Bonnie-Lynne is now Programs Coordinator with STEP, LNG Canada Trades Training, LNG Canada Connect program, and TransCanada Coastal GasLink Connect program. She brings 20 years of experience working with federal and provincial employment programs. Bonnie-Lynne enjoys traveling and embroidery - if she can combine the two, it’s a good thing! 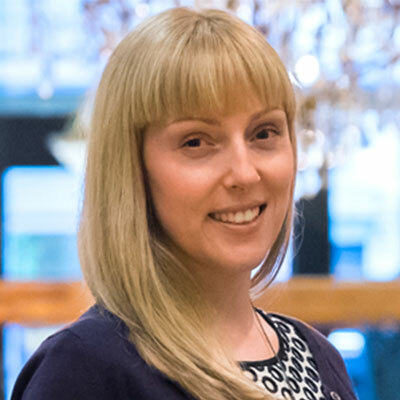 Lindsay has worked with the BC Construction Association (BCCA) marketing team for 3 years. Her office is in Victoria. She recently joined the STEP team as Community Engagement and Content Manager. Originally from small-town Ontario, Lindsay moved to Victoria from Montreal, QC. She has a degree in Media Studies and a diploma in Journalism. Bruce Springsteen, Joan Didion, Rick Bragg, and J.K. Rowling are her favourite storytellers.